In July 1813 more than thirty of the country’s leading chemists, including Humphry Davy, converged on Tonbridge to witness experiments done with the greatest ‘galvanic battery’ that had ever been constructed. Their destination was Ferox Hall, opposite Tonbridge School, the home of George Children and his son John George. Here the assembled men of science were entertained to dinner and put up for the night, before the experiments began next morning. 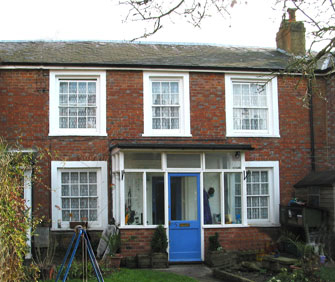 Children's laboratory still stands near Ferox Hall, now expanded and converted into a private house. The science of electricity was advancing rapidly at that time, following the discovery by Alessandro Volta in 1800 of the battery as a means of producing a current. Before then the only electricity available was ‘static’. John George Children had his own laboratory in the grounds of Ferox Hall, built by his father some years earlier. In it he constructed a battery on a heroic scale. It consisted of 20 large flat cells, each 2 inches wide, filled with dilute acid. Pairs of zinc and copper plates, 6 feet long and 2 ft 8 inches wide, were lowered into each cell. The cells were joined in series by lead straps, and lengths of lead piping attached to each end of the battery served as leads reaching out of the doors of the laboratory to a shady spot nearby, where the onlookers were stationed. The battery needed 945 gallons of acid, and the plates must have weighed more than 2 tons. Its cost would have been in excess of £500 (equivalent to more than £20,000 in today’s money). Children later improved its performance by adding a second copper plate in each cell. The Ferox Hall battery was described in the journal 'Annals of Philosophy'. The experiments consisted of passing large electric currents produced by the battery through various specimens and observing what happened. A length of platinum wire glowed so brilliantly it was too bright to look at – foreshadowing the invention of the light-bulb later on. A newly-discovered metal, iridium, was melted for the first time ever. Carbon points were ignited to produce a light so bright that sunshine was feeble in comparison – the principle of the arc lamp. Among other experiments was one in which diamond powder was placed on iron wire and a current passed. The wire glowed, the diamond vanished and some of the iron was converted to steel – conclusive proof for the first time that diamonds are a form of carbon. 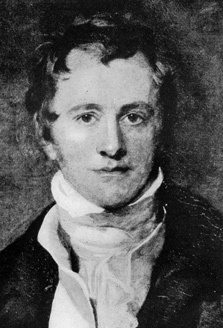 Humphry Davy and John George Children were close friends over many years, partners on shooting and fishing trips as well as in science. Davy came often to Ferox Hall, and on one occasion while experimenting with the unstable compound nitrogen trichloride nearly lost his sight in an explosion. Davy returned to London when well enough, but needed an assistant with his work at the Royal Institution. This gave the young Michael Faraday an unexpected opportunity to prove himself. Davy eventually recovered fully and Faraday went on to become the greatest scientist of his generation. Children was also involved in the development of the miners’ safety lamp for which Davy is renowned.